What song expresses what #Resurrection means for you? 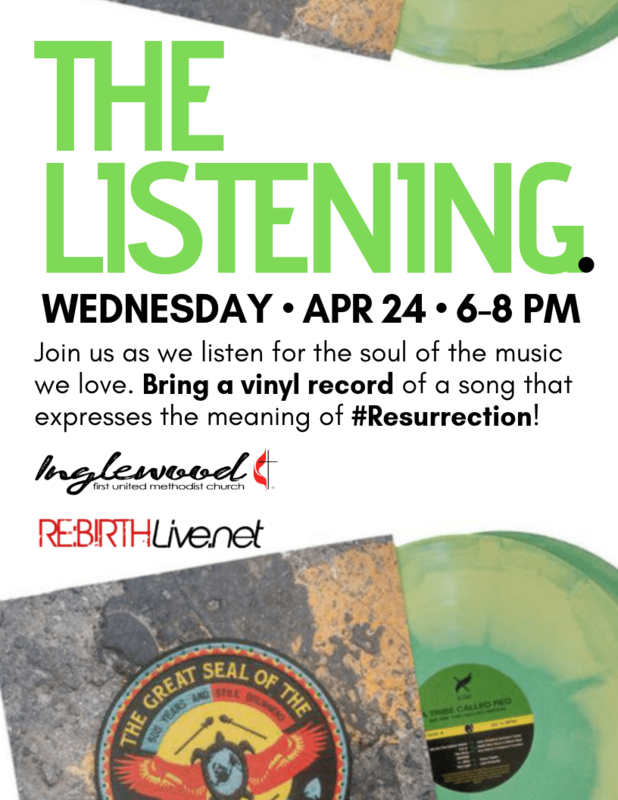 A gathering of Inglewood First UMC with RE:BIRTH Live. Join us as we listen together, sharing the soul of the music we love. Bring something for the shared meal. Bring a vinyl record of a song that expresses the night’s theme for you. When do you remember first hearing this song? What does this song say about the soul, spirit or God? To RSVP and find out location, e-mail us at thelistening@inglewoodfirst.org or DM at@inglewoodfirst or @REBIRTHblog.